“Dia De Los Muertos” Day of the Dead is full of aesthetics, from the Grave decoration, the parades, and the attire they where to celebrate the dead. 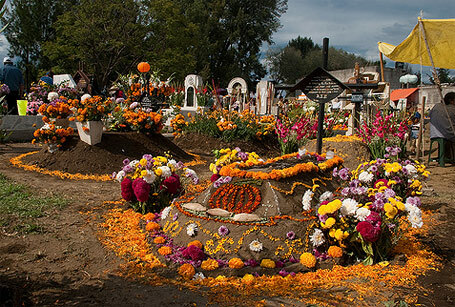 learn a little of the history of the Day of the Dead and enjoy the visuals. Dia De Los Muertos (Day of the Dead) is a rich Mexican cultural tradition that is celebrated on the first two days of November. 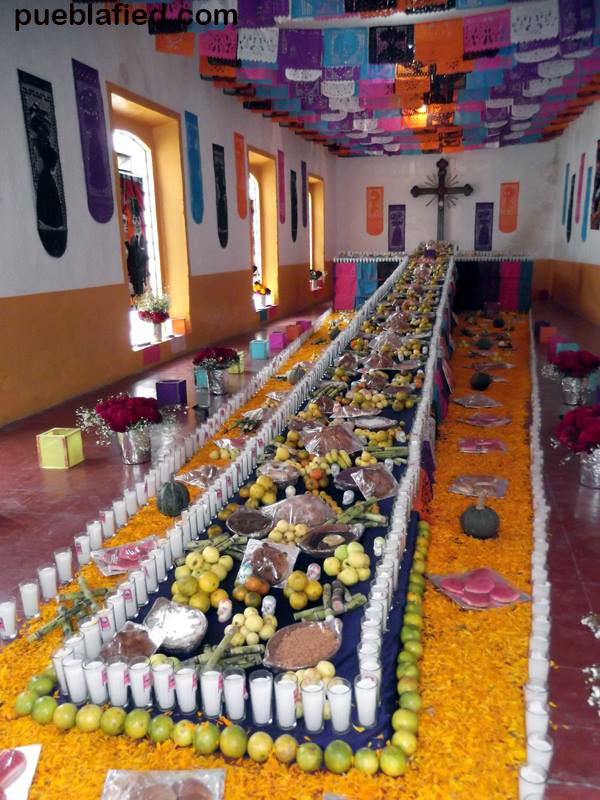 Day of the Dead was a ritual where the indigenous people celebrate the deaths of their family members, going perhaps as long as 2,500 to 3,000 years. With the arrival of Spanish Conquistadors bringing in their traditions and Christianity, the ritual has merged with catholic theology. Still to this present day Dia De Los Muertos is a day to remember and celebrate the dead. In the first day families visit the graves of their love once, and decorate the gravestones with colorful flowers, candles, pictures, symbols of things that they liked doing while they lived. On this day the families have a picnic and interact socially with themselves and others, exchanging stories of which often feature someone that may also be buried in the cemetery. The decorations are not restricted to just grave yards, but can also set up alters at home. Aside from the beautiful decorations that overcome the town with alters, parades and floats, the aesthetic that I really enjoy are the face painting and the costumes that people were. Day of the Dead is a day for celebration and the skeleton them attire is giving the dead life again. Death is a natural thing to happen to everyone and everything but this day is to also remind oneself that you will not be forgotten, and that even in spirit for you can party too. An artist that really gave life to the dead with what I call art is José Guadalupe Posada, a famous printmaker, cartoon illustrator and lithographer. He created multiple sketches of skeletons dancing, parting, posing, and doing everyday life activities done in the 1900’s. Dia de los muertos is always really interesting to our society, that views death as such a dark and scary event. 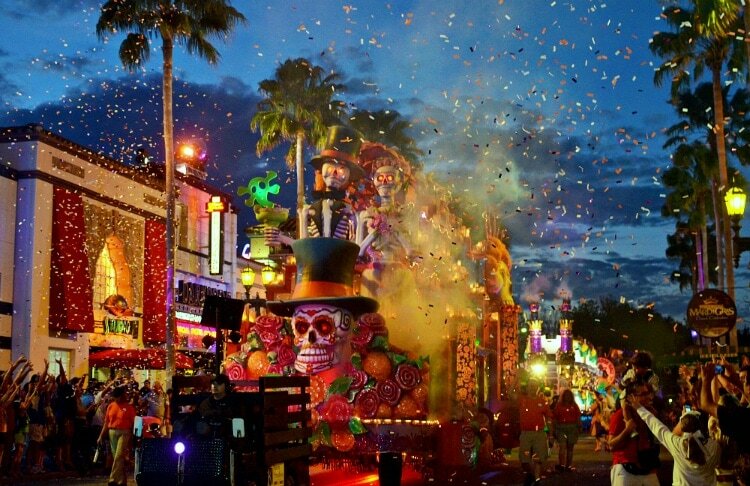 I love the opposing take though, where its celebrated with bright colors, dancing, food, all of the festivities. Where it gets interesting to me is the face painting and skulls. The candy skulls I suppose are still innocent and bright, but the face painting and many of the costumes are dark and macabre, contradictory to the lightheartedness of the daytime. I really enjoyed reading your post, even though the concept is somewhat scary it’s amazing how they’ve changed the theme to become such a celebrative event, I also enjoyed the face painting aesthetic the most. Thank you for post.